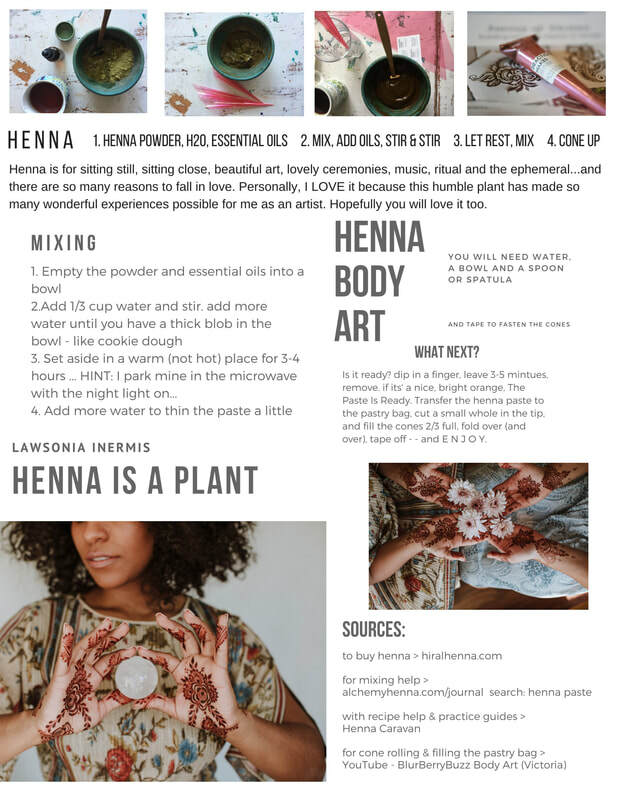 ​explore natural henna at home. We also sell henna cones ready to use (local pick up only). 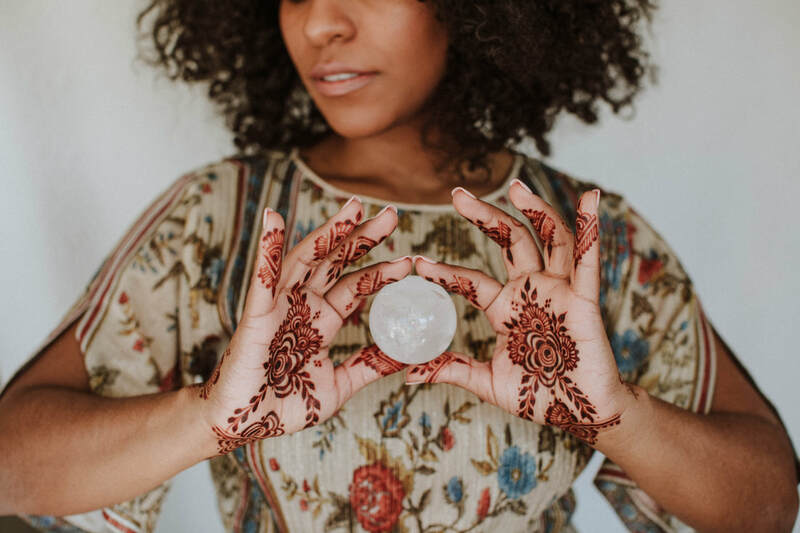 You will need a small bowl, spatula or spoon, tape and water or herbal tea to mix fresh henna paste. Our kit has everything else you need including: raw henna powder (Lawsonia inermis), essential oil blend for dark henna stains, pastry bag for filling henna cones and the cones for decorating the skin.